We finally got some confirmation from The Hub about the return date of this much-loved and multiple Emmy award winning series will return with fresh episodes! 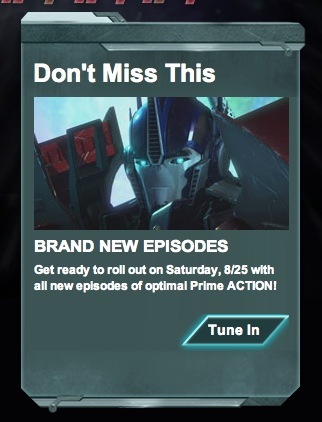 According to the Transformers: Prime website, new episodes begin on August 25th, when we’ll be able to see the aftermath of the Insecticon attack on Bulkhead. Brand new Transformers: Fall of Cybertron trailer makes us want the game even more….if that’s possible.